Who? Sophie Madeleine. Genre? Folk/Acoustic. 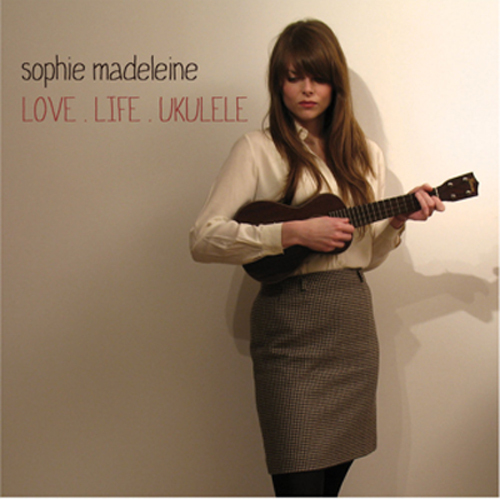 About: Sophie hails from Brighton, and bright she is, her debut album LOVE.LIFE.UKULELE was released not so long ago, and it shows so much promise. Its strength is its simplicity and straight-forwardness. I have picked 3 songs from the album to highlight, first of all, You’re My Favorite, which is the first song I heard and was the one that got me “hooked”, it’s a simple song with nothing but a tender voice, acoustic guitar, an accordion, and lush lyrics. I Just Can’t Stop Myself (From Writing Love Songs About You), if the title didn’t intrigue you, I don’t know what will. One Kiss Too Many is the one of the bet moments on the album, her voice’s tenderness will you have surrendered and all ears. Download the three songs below, like them, love them, buy the album, love it.